With bright yellow centers appearing to illuminate from within, iris are uniquely gifted when it comes to lighting up someone’s day…and their smile. 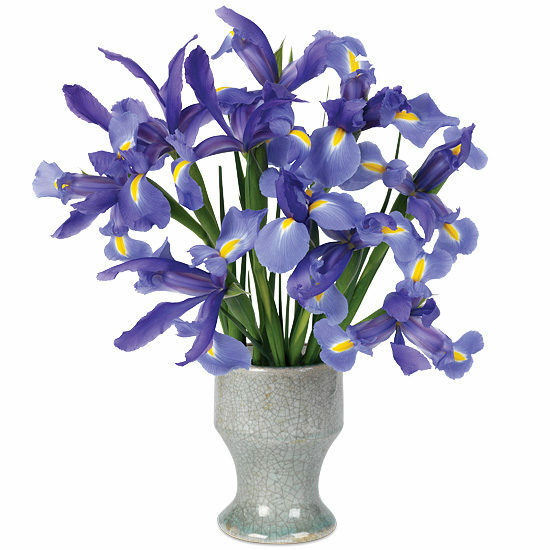 We’ve paired a generous gathering of ten deep blue Telstar iris with our grey crackled ceramic vase, creating quite the picture of summertime sweetness that will brighten any room or occasion. Trim 2″ on a diagonal from the bottom of each stem. We recommend cutting the stems underwater for best blooming results. 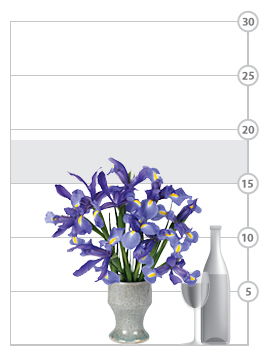 Be sure to leave enough room to allow the ever-emerging iris to open fully. Add fresh water daily and recut stems every other day.